Nowadays, it’s difficult to trust anyone, especially strangers. This is because robbery cases are on the rise. 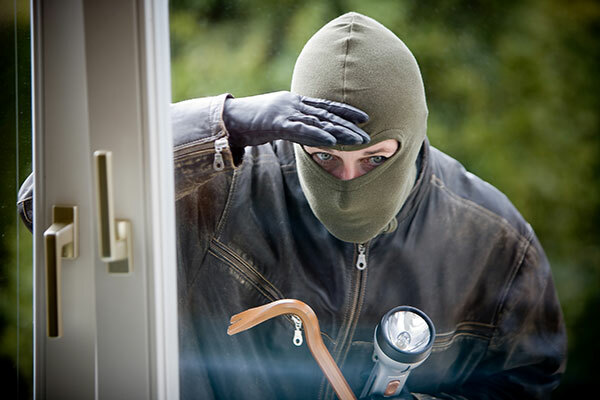 Your home and your business are always at risk of robbery. Moreover, robbers and thieves are also using some sophisticated methods to realize their plans. If they plan well, you should plan well, too. Thieves are everywhere. If you are prepared, you will reduce the risk of being robbed. A well-prepared person will drive away thieves and robbers. Give criminals a hard time to ruin their plans. There are many ways to do so. When you go out, never bring all your cash. Bringing your ATM card or credit card is the safest and the most convenient way to protect your money. If someone steals them, you can easily ask your bank to deactivate them. However, some robbers know how to use private credit cards more quickly than your ability to report it. If you have several ATM and credit cards, just bring only enough cash to get what you need. Wherever you are, stay alert. Most victims of robbery are those with no hint of such robbery. Robbers know what they’re doing, and they’ll attack when people aren’t paying attention. Thieves are careful and precise. Therefore, you should also be careful and alert all the time. This will give robbers a signal that you are not the right victim for them. Always look around as though you know who is going to prey on you. You may have special jewellery you wear on special occasions, but don’t try to look like you’re wearing tons of jewellery on a daily basis to impress people. When you do this, you paint a target on yourself for thieves to take notice. Crime usually happens in dark and secluded places. As much as possible, avoid such places and walk where there are many people to notice and help you in a worst-case scenario. If you have a business, there may be instances you need to transfer large amount of money to another person or establishment. Bank transfer is good, but this is not always the best option, especially if there is a need to transfer cash. If you have a retail business, you will always have a need to deposit your cash to your bank. Don’t bring your cash to your bank. The safest way is to hire a cash in transit agency to do it for you. When you are traveling, always be ready to use your smart phone or any such device to record a video in case of robbery. At home or at your business establishment, put a CCTV camera. You may not remember any police hotline, so it’s best you list down all numbers of nearby police stations. If you’re traveling, look for such details online before you go. There is no guarantee you will be free from getting victimized by robbers. Nonetheless, you can reduce such possibilities if you know what to do to prevent it. From time to time, you can find some new and effective ways to save yourself from being robbed because robbers also continue to find new ways to victimize others. The above tips will help you a lot.